US high school student passionate about educating kids in rural India! 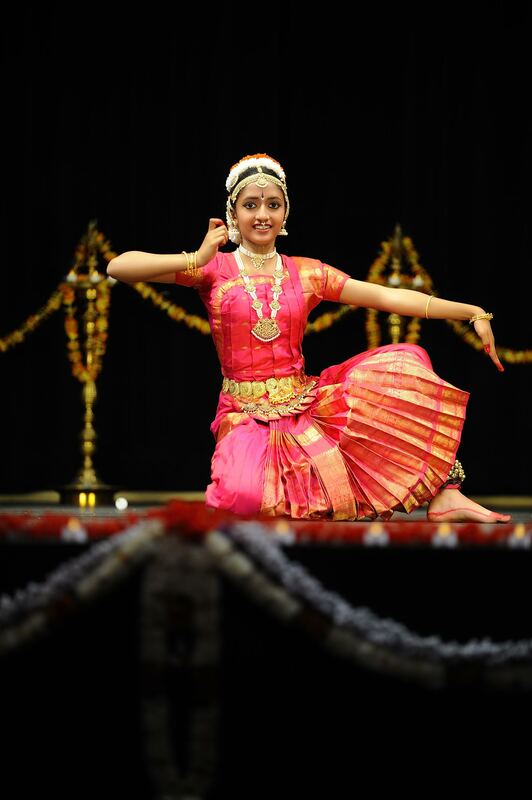 Ekal Jananni Rathnagiri, a freshman at Monta Vista High School, in California performed a Bharathanatyam Dance program on May 4th, 2013 at the Campbell Heritage Theatre. Jananni has been learning Bharathanatyam from Guru. Smt. Meena Logan (http://www.pushpanjali.org/) for the past 8 years. She was interested in Bharathanatyam from a very young age and learned under the able guidance of her Guru. At the dance performance she performed about seven dance pieces and enthralled audience for over two hours. She enjoys dance and enjoyed the experience of a solo dance performance! She also saw this as an opportunity to use her Arangetram as a means to raise funds for a cause that she believes is necessary. Jananni became interested in Ekal and its cause of educating kids in rural India couple of years back when her parents participated in an half marathon sponsored by Ekal. She too wanted to spread the word about Ekal and decided to generate donations through her dance performance. She was able to generate around $2750 for Ekal’s cause. Jananni wants to adopt two Ekal schools in India and support them throughout her life. Her plan is to continue to generate more funds for her adopted schools through many more events. She believes other kids will be motivated to follow suit. She used the following website - http://www.crowdrise.com/Bharathanatyam04may2013/ and other means to raise funds. She has the blessings and absolute support of her Guru in this cause as they continue their Bharathanatyam journey together! ‘Friends of Tribals society’ Kolkata Chapter celebrated its Silver jubilee Year Annual function by organizing Bollywood actor and Friends of Tribals Society’s Brand Ambassador Smt HemaMalini’s Dance Drama on ‘Mahalakshmi’. The cultural program was held on 20th October 2013 at Science City Auditorium. The program began with the lighting of the lamp and Ekal song sung by Smt. Soniya Khator. The Program was conducted by Sri Jaideep Chitlangia (Vice President, Kolkata Chapter). Sri Radhe Syam Agarwal of Emami Group and Sri Vikram Swaroop of Paharpur Cooling Tower were the Chief Guests. The eloquent speech of Sri Shyamji Gupta of Ekal Abhiyan was followed by Smt Hema Malini’s ballet. The scintillating performance of Smt Hema Malini was enjoyed by nearly 2000 patrons. 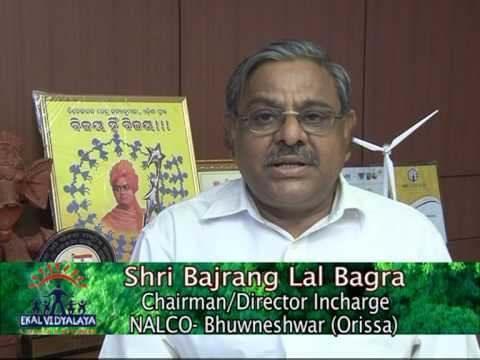 A project in the name of ‘Phulbani Jilla Unnayan Prakalp’ was started in the year 1985 for the development of tribal community of Phulbani District in Orissa, by few concerned souls. Under this, 490 schools and medical centres were working. Extending the work, they invited some prominent citizens of Kolkatta for evaluation and advice. The members from Kolkatta visited Phulbani as Vanayatri. Moved by the poverty and living conditions of the tribals, the team decided to raise resources for supporting the service projects for tribals. That was the genesis of ‘Friends of Tribals Society.’ FTS was inaugurated on January 15, 1989 on the auspicious occasion of Makar Sankranti. The First Executive Committee had Sri. Ramdas Agarwal as President, Sri. Bimal Lath as General Secretary and Sri. Mangi Lal Jain as Treasurer. Since its inception, FTS has stressed on the importance of education to bring about any change or development. It is education that empowers people, develops a sense of confidence and fraternity amongst them and gives them the courage to resist exploitation. 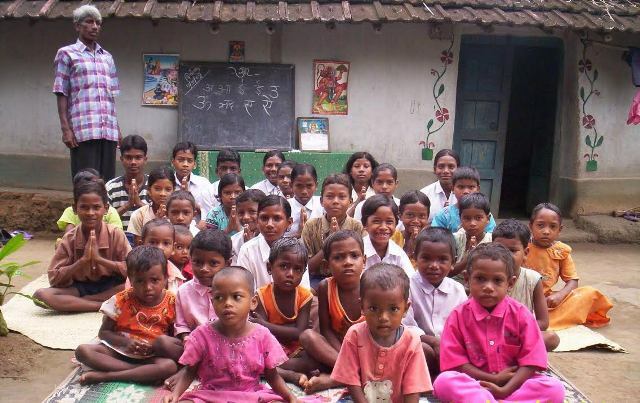 To accomplish the primary aim of eradicating illiteracy, the Friends of Tribals Society started a unique project - Ekal Vidyalaya Yojna in 1989 in the rural and tribal areas of Gumla district of Jharkhand. FTS patronizes 20571 villages, which is a whooping 41% contribution by them and about 5 lakh tribal children are getting the benefits by the project as on July 2013. The most important factor for the success of FTS is its system of Nagar working with regular weekly and monthly meetings, Vichar Gosthi and various other programs involving large number of eminent citizens. Chapters and State Voluntary Organizations were formed in different parts of the country. As on date FTS has 30 chapters across all states of India. There are five zones, North, South, East, West and North East under five Chairmen with Presidents, Vice Presidents, Secretaries, Coordinators and Treasurers. The yearly congregation of Maharashtra’s Nagar Mahila Sangathan Varg was organized successfully on 28th and 29th September at Savarkar Sadan, Nigadi (Chinchwad Anchal). Women volunteers from Vidarbha and Nasik Bhag participated in this Varg. The various sessions were inaugurated by Smt. Kunjlata Bhansali and renowned littérateur Dr. Ashwini Tai Dhongde. Smt. Chandralekha Rungta, and Smt. Uma Pachisiya, from Mumbai, participated. ‘Timiratun Tejakade’ souvenir was launched by Smt Ashwini Tai Ghongde during the inaugural function which was the sincere effort of Smt. Shobha Joshi. A dance program was presented by Nigadi Group on the night of 28 Sept, 2013. All the participants found the Varg very inspiring, enriching and encouraging to proceed further with definite goals and to accelerate the Ekal Abhiyan with vigor and zeal. Several targets of the Varg have been set such as a Karyakarta Samman program at Sanch level, connect equal number of families as Ekal Vidyalayas in that Anchals, to conduct Vanayatra every month from Anchals, to establish Mahila Samiti at every Anchal level and Sanch level and to increase the number of Nagar Sangathan Varg. 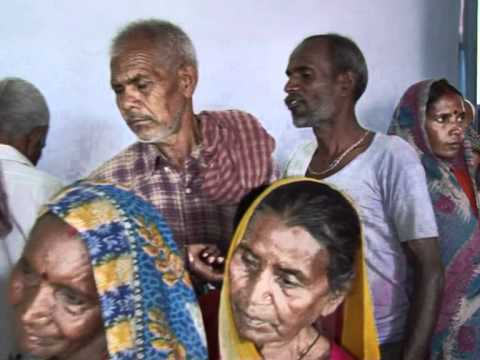 Ekal Abhiyan’s Kendriya Abhiyan Pramukh, Sri. Madhavendra’s motivating oration in chaste Hindi was interspersed with sagacious Sanskrit shlokas. Ekal Abhiyan’s National head of women’s wing, Priyanka Dihingia’s presence, guidance and discipline at all the steps need special mention. Chinchwad Mahila Samiti had managed to generate funds through advertisements and sponsorships. Credit goes to the team spirit of the ladies under the leadership of Smt. Savita Kamthe, President. The second five day meeting of Nagpur Ekal Abhiyan was conducted from 17 October 2013. 39 Chapters and 5 Central Committee Members participated. The inauguration was done by Sri. Ajay Kumar and organized by Sri Sunder Damani, Smt. Shama Devi, Sri. Nikhil Mundle, and Sri. Lalan Sharma. Totally, 26 classes were conducted on Health and Village Developments. A trip to Government Vigyan Center nearby educated them on the bio products from cow. Some of the important points discussed during the program were on Basic Education, Health, Natural Farming, Rain Water Harvesting, Sports Activities and celebrating Gandhi and Vivekananda Jayanthis. 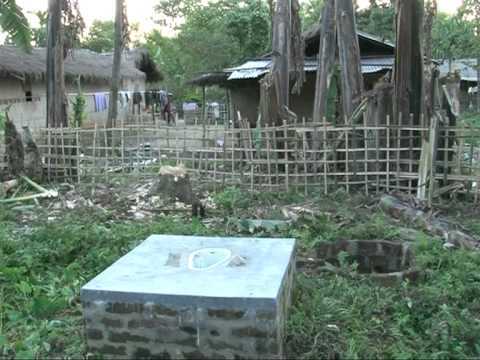 Sri Jayprakesh murmu, Jharkhand state, Dhanbad district, Banderchua village. He studied in Bartand Ekal Vidyalaya between 1998 to 2000 for 3 years. Then joined government school in 4th standard. Finished 10th in 2005 and passed 12th in 2007 and college in 2010. But from 2005 when he finished his 10th class exams he joined Ekal Vidyalaya in his village Bertand as a teacher and later became Sanch Pramukh. 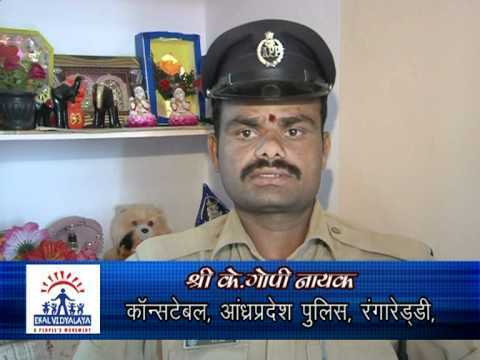 He says “if I had not joined Ekal School then I would never have touched paper or pencil in my life. I would have been illiterate. Ekal has made me a literate man as well as a patriotic citizen.” He wants to be like “swatantraveer vanvasi siddu – Kanhu”, and do serve the Nation. Friends of Tribals Society – Chennai introduced Krishna Sudama School Raffle Scheme in the year 2008 with Sri KK Maheshwari as the project organizer. The yeomen services of FTS in different parts of the country were made by video presentation as well as personal talks. The objective is to sensitize the students in helping their brethren in the remote areas of our country and provide education support to them in the Ekal Vidyalayas. FTS Chennai team has initiated one more regular activity of fund raising through students’ involvement in the last five years. 600 schools were approached and 1lakh children from 85 schools enabled the contributions to 262 Ekal Vidyalayas. They have become brand ambassadors for FTS in their schools and created awareness among 40000 parents while simultaneously raising funds for the noble cause. 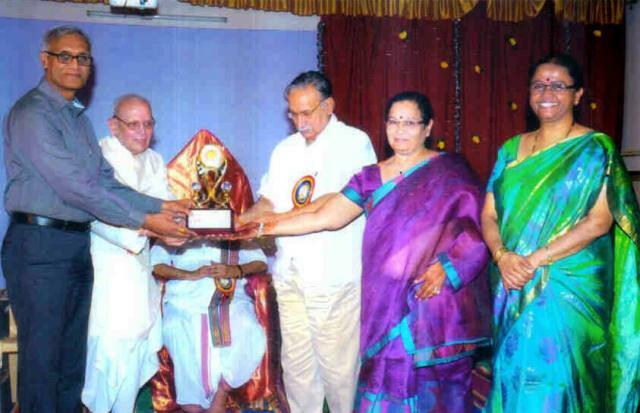 Here in one of the programs Sri KK Maheshwari is receiving the cheque from the correspondent of Shri Kola Saraswati Vaishnav Senior Secondary School in the presence of their Chairman Sri Govinddoss Purusottamdoss along with the current coordinator Smt Vimala Damani and the Principal of the school. FTS Ranchi’s Silver Jubilee Celebration was marked by several colorful events. The main amongst them was the Marathon Run organized in four different parts in which thousands of people participated. The biggest run was from Bersa Chouk to Moorhvadi Football Stadium covering 11 kms. The participants include a significant number of ladies and school children. Sri SS Bhatiya inaugurated the function. 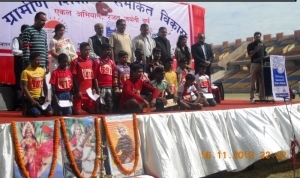 The price distribution was at Morahavadi Football Stadium by the Chief Guest Sri T.P. Pathi. On the occasion Sri Ajay Kumar of EKAL reminisced the starting of the EKAL movement in the year 1989 which has now spread all over the nation to 52000 villages. The function had several cultural programs. However, the most important was the Signature Board where all signed to demonstrate their literacy through EKAL services. While we were returning from our visit to a village after our monitoring activities on 10 November, 2013, our vehicle got struck on the way. We were upset and were looking for some assistance. Soon some village boys surrounded the van. For a little while, I engaged them and asked them to sing a song. There was initial hesitation but finally a boy came forward to sing. To our utter surprise he recited GAYATHRI MANTRA! I asked him from where he learnt this. To our pleasant surprise, he said that he learnt it from EKAL VIDYALAYA. Our full time workers from that area informed us that the area is Arihiamkovilur and it is one of Ekal Villages in that area. 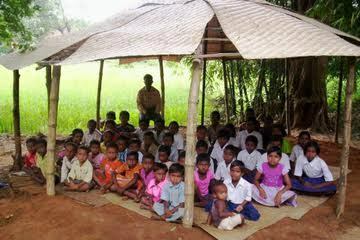 Gobi Anchal patronizes 120 Ekal Villages in the forest area of Thalavady, Sathyamangalam Hills, Tamil Nadu. On 6 Oct 2013, Ekal Vidyalaya Abhiyan in Aarua village near Faridabad conducted 31 Kundeeya yagya. Thirty villages and 256 members participated and the program was presided over by Sri Snehpal, Sambagh Adhikari of UP and Nepal. A 13 member team of young CA students visited Khargon Anchal’s Adfata village on 10 Oct 2013. Sri Bhurelal and Sri Sanjay Palvi organized the trip to the village of the tribes. They spent valuable time and interaction with the Ekal school students and the villagers and enjoyed the hospitality extended by the villagers.